Neapolitan ice cream consists of three different ice cream flavors all layered together in one package. 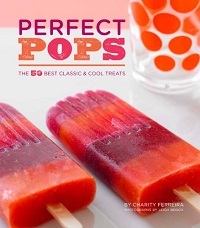 It’s made with vanilla, strawberry and chocolate ice creams, and it is a favorite kind of ice cream for many ice cream lovers because a container of Neapolitan means that they don’t have to choose just one flavor. Chocolate, vanilla and strawberry are flavors that always work well together and you can make your own Neapolitan desserts by combining those flavors outside of the ice cream carton. 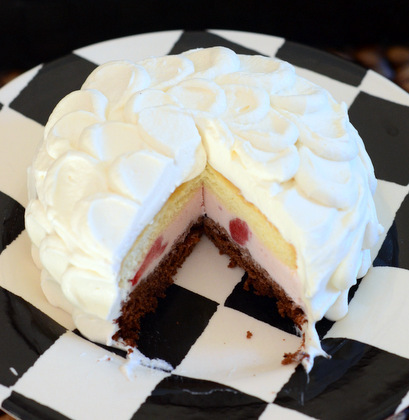 These Neapolitan Ice Cream Cakes still involve ice cream, but the layers of chocolate and vanilla cake surrounding a strawberry ice cream filling are even more delicious than three layers of ice cream alone. The vanilla and chocolate cakes I used here are both hot milk sponge cakes, an easy to make type of cake that produces a light and tender finished cake. 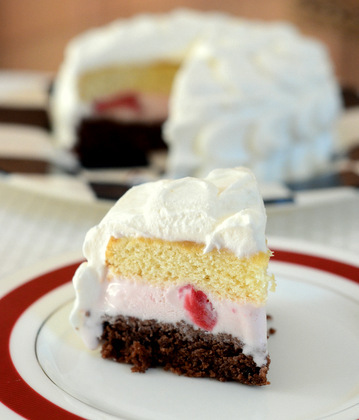 The light cake layers are moist and flavorful, but they blend very well into the finished dessert because they are just sponge-like enough to soak up any of the strawberry ice cream that melts into them as you’re serving. You get a clear vanilla flavor from the vanilla layer and a deep cocoa flavor from the chocolate layer. The cakes should bake up to have relatively flat tops, but any imperfections in the cake can be hidden with ice cream and frosting, so you don’t need to do too much trimming before you start your assembly. The cakes are frosted with lightly sweetened vanilla whipped cream. This adds another layer of texture to the cakes and it will remain soft in the freezer if you need to store leftovers, unlike buttercream frostings, which will typically crack when frozen. I find that one of the problems with homemade ice cream cakes – or any ice cream cake, actually – is that they take up a lot of space in the freezer. A full size cake is meant to serve a crowd and sometimes you need a cake for a group of fewer than 20 people. That is why I baked these ice cream cakes in 4-inch mini springform pans. This size makes a cake that will serve 2-3 people. Since the cakes are small, they won’t take up a ton of space in your freezer, so I like to have them around. You can serve a couple of them (even using different flavors for the fillings) at a dinner party, or simply enjoy them one at a time at home! I included a recipe for frosting the cakes, but it can be divided – notes follow the recipe – so you can frost the cakes one at a time instead of doing the whole batch at once. If you don’t have a bunch of mini springform pans, or if you simply wanted to make one large ice cream cake instead of several small ones, you can easily do that with this recipe. Instead of using mini pans, you can bake the cakes in single 8 or 9-inch round pans. The baking time will increase, so you will need to check the cake for doneness with a toothpick as it bakes, but the assembly process is the same. In a large bowl, or the bowl of a stand mixer, beat eggs and sugar together at medium-high speed until the mixture has at least tripled in volume, about 5 minutes. Whisk in flour mixture by hand or with the mixer at low speed. In the meantime, combine butter and milk in a small saucepan and bring to a simmer, stirring to melt the butter. Remove from heat and add in vanilla extract. Allow to cool slightly, 1-2 minutes. Bake for about 17-19 minutes, or until the cake springs back when lightly pressed and a toothpick inserted into the center of the cake comes out clean. Allow cakes to cool for about 5 minutes in the pans, then run a knife around the edges and turn them out onto wire racks to cool completely. Cut all of the cakes in half with a serrated knife. Place one chocolate layer at the base of each mini springform pan (it is easiest to assemble the cakes in the pans, but you can also do it without the springform if you prefer). Top with 1/2 cup strawberry ice cream, spreading it gently to reach the sides of the cake. Top strawberry ice cream layer with a layer of vanilla cake and press down gently. Cover with plastic wrap and freeze until firm. Repeat with all remaining cake and ice cream to make 8 layer cakes. After cakes are firm, whip the heavy cream to soft peaks. Sift in the confectioners sugar and blend it into the whipped cream until it is dissolved. Whip in the vanilla extract. Pop the frozen cakes out of their springform molds (or unwrap, if not using molds) and frost with whipped cream. *If you are not going to serve all your cakes at once, you can wrap and re-freeze the cakes unfrosted for a few months. When you’re ready to serve, you can whip up 1 cup of heavy cream with 1/4 cup confectioners’s sugar and a splash of vanilla extract and frost the cake. 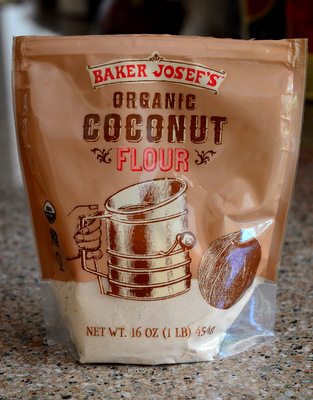 Previous PostPrevious Can I Substitute All Purpose Flour with Coconut Flour? this looks DELICIOUS. i am so craving a slice right now.. i love a good Neapolitan ice cream! definitely brings back some childhood nostalgia!